Black Fox Fur Fling with Tails. Our Fox Fling lends an air of opulence to any outfit. Soft, sensual and superbly warm, it's made of genuine fox and features a tail on each end. 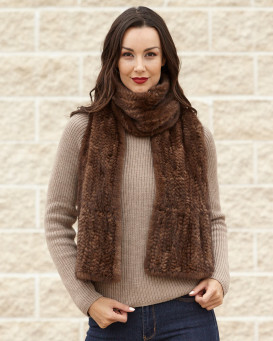 Wear it as a scarf with a winter coat or drape it across bare shoulders with an evening gown -- either way, you're sure to make a dramatic entrance! 72 inches x 4 inches. One size fits all. "One of many purchases, and they were all beautiful! 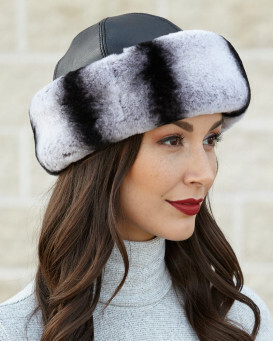 I am so glad I found Fur Hat World...there are a couple fur shops in downtown Brampton, but they rarely seem to have any fur items in their windows, and there is very little content on their web sites. 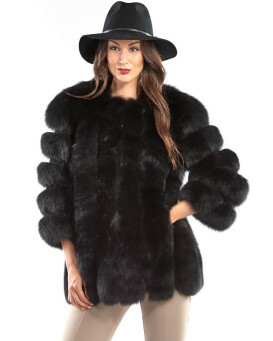 Fur Hat World has tons of items, coats, jackets, hats, gloves, for men and women. You can zoom in and see the fur close up, their customer service will help you choose the right size, (I had to send one coat back...I guess I am larger than I thought ;), but the exchange was no hassle, and everythging is simply georgeous, including this new Fox Fling! Wow! So soft, and fluffier than it looks in the pictures. I can't wait until the new products are revealed in the fall! Thanks!" "Very pleased with the item I purchased.. delivery a bit slow but worth the wait... would recommend to others." "Faultless buying experience. Reliable shipping. Superb quality and value. Absolutely fantastic, for the price. Worth the slight fuss of getting it shipped to the UK. Looks and feels stunning, chic, and glamorous. The perfect accompaniment to so many different outfits. I will definitely be ordering from this website again!" "Love it wish you had more colors"
"I love my new fox fur scarf, which I am wearing with my mink coat. It adds some flair and makes the coat like distinctive and very beautiful. It is really exquisite and warm around my neck... 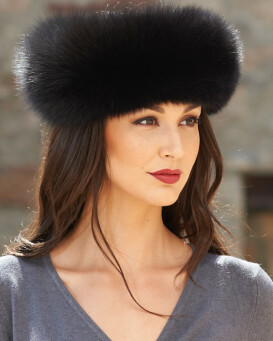 I look forward to many years of enjoyment from this beautiful fur..."
"Bought this item for a roaring 20s costume but will use it elsewhere- beautiful appearance- some shedding- velvet lined- very pleased- the website is excellent- ships as promised and great followup- will be using them again."